Penola's founder, Alexander Cameron, opened the Royal Oak Hotel in 1848 with one of the earliest hotel licenses in South Australia. 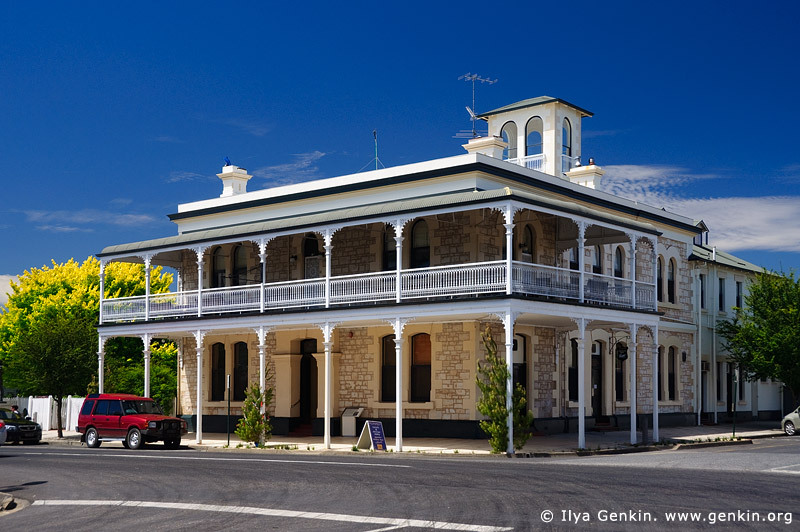 This image id AU-SA-PENOLA-0001 of Heyward's Royal Oak Hotel, is copyrighted © by Ilya Genkin. This is not a public domain image.